Here we are in the middle of the B shapes, the great contribution of the recent “Dublin” or Tom Palmer era of Peterson’s shape catalog. I’ll begin with the disclaimer that what follows is undoubtedly not the whole story, nor even the last word, on any of these shapes. But it is a beginning, and I hope helpful to fellow companioners of these marvelous pipes. The reader can see the originals for all the Limited Edition shapes in another entry found on this site, as well as blogs on the B23 in its original presentation. Corrections, emendations and advice always welcome! The B22 is the first of two shapes derived from the 1904 – 1908 Antique Collection released in 2005. 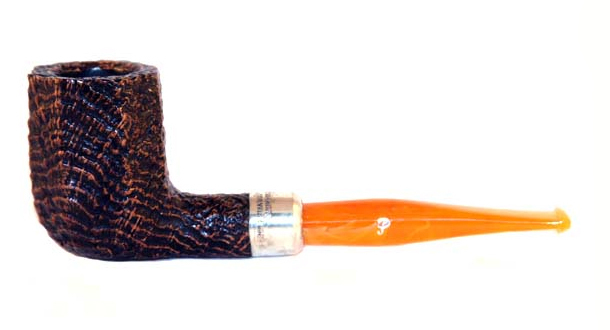 A diamond-shanked half-bent billiard, it appeared to great effect in the Italian Rock of Cashel line with contrast-stain blast (bottom), sterling mount, marmalade acrylic stem and hot-foil stamped P. It was also released in the Dublin Castle series (top) with 9mm filter, sterling band and vulcanite fishtail stem, hot-foiled stamped P, and just this year in the entry-grade black sandblast through James Fox, with a vulcanite stem and hot-foil P.
Bowl Height: 1.83 in. / 46.88 mm. Chamber Diameter: 0.83 in. / 21.08 mm. Chamber Depth: 1.57 in. / 39.88 mm. Outside Diameter: 1.63 in. / 41.40 mm. Weight: 1.79 oz. / 50.80 g.
The B23 is the second shape in the 1904 – 1908 Antique Collection from 2005. As I’ve already devoted blog space to this marvelous shape, I’ll only add that it’s a shame it didn’t make it into the Classics Range: it’s got a pedigree and in its B23 releases says “Peterson” loud and clear. The Italian-only Rock of Cashel is a lovely work (above), with sterling band and acrylic stem, hot foil P. The Kapet release (below) is a real handful, released in very small numbers, and featuring a vulcanite stem and nickel band. Length: 6.16 in. / 156.46 mm. Weight: 1.80 oz. / 51.03 g.
The B24 debuted as the exquisite XL prince, the Limited Edition 2005, one of the high-water marks in the Peterson Pipe of the Year history with its intricately stamped spigot and band scrollwork. I gave one to my nephew awhile back and hope that someday he’ll smoke it and say, “Wow! 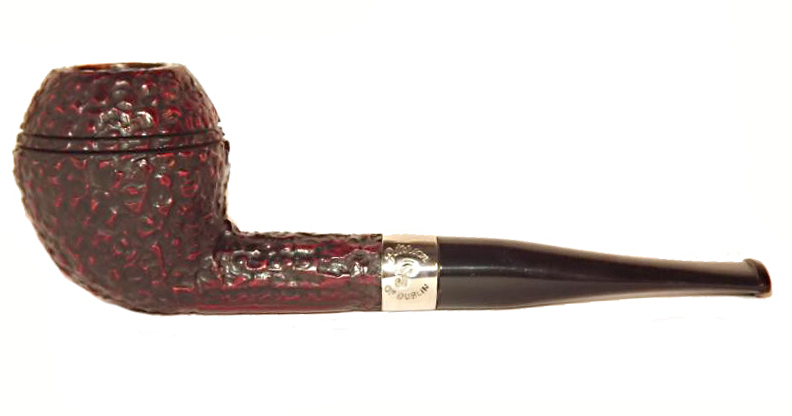 I can’t believe what a cool pipe this is.” Anyway, as a B shape it appeared in the Kapet line seen below with a nickel band and saddle vulcanite stem, P hot foil stamped. 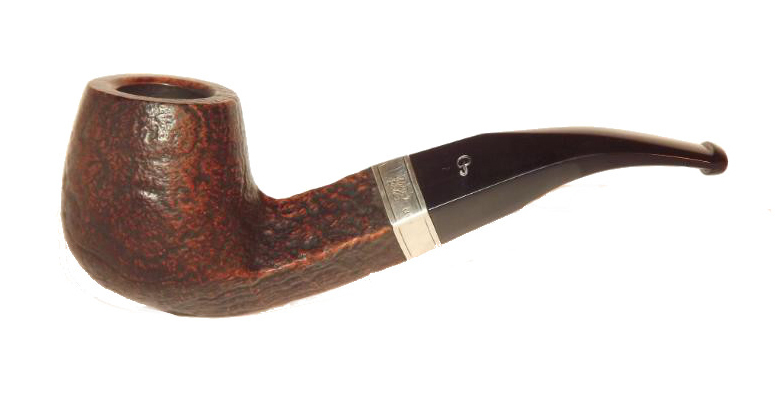 The last of the bowls appeared in the entry-grade Shamrock (above), also with a vulcanite tapered mouthpiece and the old-fashioned gold-stamp P.
Bowl Height: 1.58 in. / 40.13 mm. Chamber Depth: 1.27 in. / 32.26 mm. The B25 is without doubt the rarest of the Bs. I couldn’t figure it out from the sole example I’ve seen. It looks a bit like the 2004 Limited Edition, but that’s the B21. It also looks a bit like The Professor from the original Sherlock Holmes series, but that already has an XL shape number. So I went to the authority, Tony Whelan, Jr., Peterson’s factory manager, who told me it’s . . . the Charles Peterson 140th Anniversary Edition. 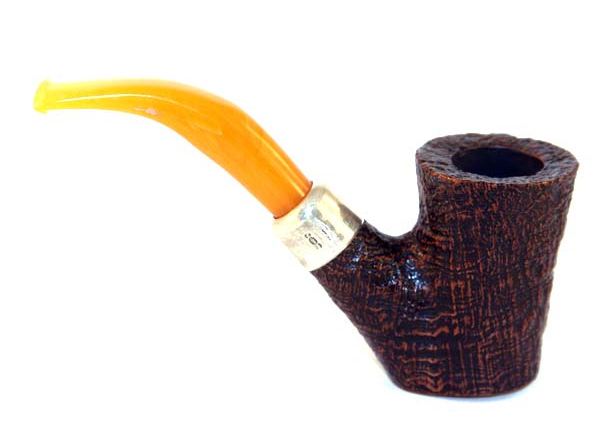 The 140th pipe was originally conceived as a Limited Edition run of 1000 pieces, but at the time (2005), Peterson couldn’t source a sufficient number of these XXL bowls, the run ending up at around 300 pipes. 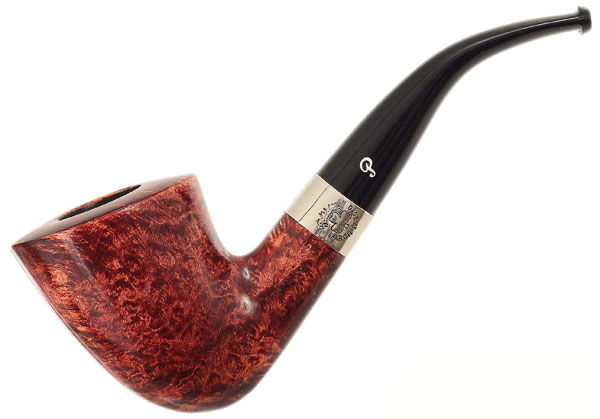 * The bowl on the 140th, incidentally (if not the bore and ferrule) is good reproduction of the X.O1 House Pipe seen in the 1896 and 1906 catalogs, and one of Charles Peterson’s favorite shapes. It appeared in the Italian Kapreis line as a sandblast, black acrylic f/t stem, hot-foil P stamp, sterling army mount. Length: 6.46 in. / 164.08 mm. Bowl Height: 2.45 in. / 62.23 mm. Chamber Diameter: 0.88 in. / 22.35 mm. Chamber Depth: 1.94 in. / 49.28 mm. Weight: 3.68 oz. / 104.33 g.
Outside Diameter: 1.83 in. / 46.48 mm. The 2006 Limited Edition is the most massive straight poker- “setter” ever cut by Peterson, a real knock-out with its original silver cap. 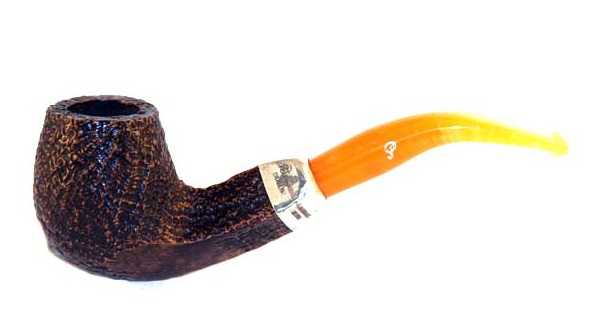 It entered the B shapes catalog as the B26, where it appeared first as the beautiful sterling army-mount Italian Rock of Cashel seen above with the usual marmalade acrylic stem and hot foil silver P stamp and sterling band, and then to great effect in the entry-grade Kapet pictured below with a vulcanite f/t stem. Length: 5.56 in. / 141.22 mm. Chamber Diameter: 0.82 in. / 20.83 mm. Chamber Depth: 1.60 in. / 40.64 in. Outside Diameter: 1.50 in. / 38.10 mm. 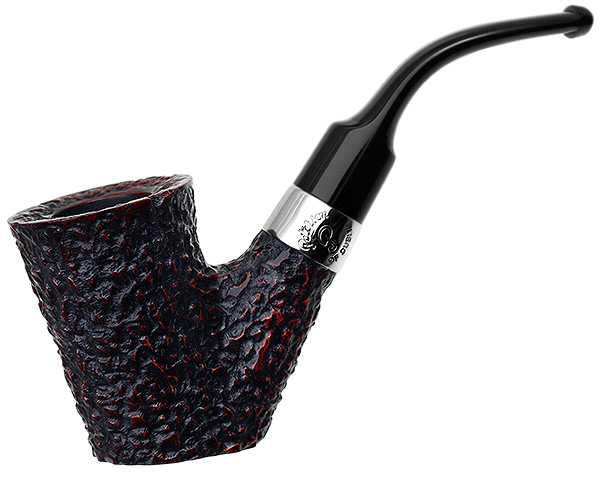 The B27 is another incredible Limited Edition shape, this time the octagonal panel billiard from 2007, when it was given a faux spigot treatment (like the original Rosslare Royal Irish line). Like nearly all the LEs, it’s a big piece. It appeared in the B catalog first in the Italian sterling army-mount Rock of Cashel, then just recently in the nickel army-mount Derry Rustic. I must say that I like the Derry Rustic treatment (seen above) even better than the Rock of Cashel, despite its lack of sterling. In any event, if you’re attracted to the shape, don’t wait too long add it to your rotation before its gone. Derry Rustic is nickel mount, acrylic stem with hot foil P stamp. The Rock you already know. Length: 6.25 in. / 158.69 mm. Bowl Height: 2.07 in. / 52.68 mm. Chamber Diameter: 0.82 in. / 20.72 mm. Chamber Depth: 1.63 in. / 41.38 mm. Weight: 1.80 oz. / 50.39 g.
Outside Diameter: 1.44 in. / 36.47 mm. The B28 is the only bowl shape in the B chart that has three numbers: the B21, B28 and B28 and B49. 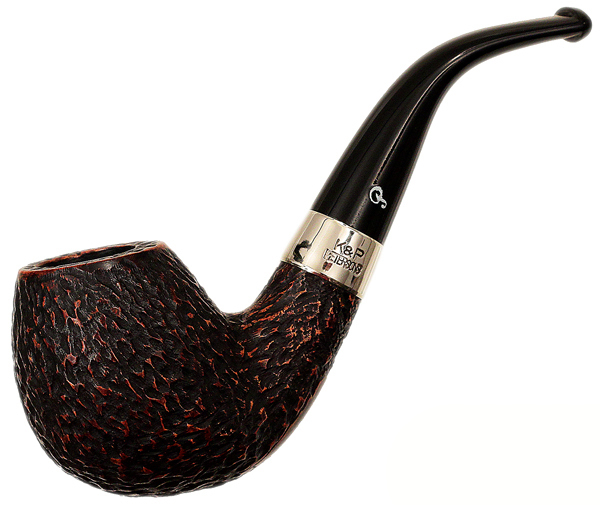 In the last B shapes blog, I mentioned the B21 derives from the 2004 LE and the B49 from the Gregson in the Adventures of Sherlock Holmes series. What I overlooked was that the B28 –the same bowl – was the number given the 2008 LE. 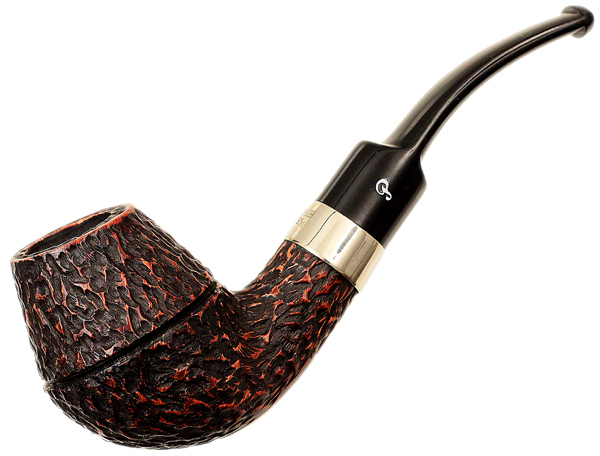 I won’t enthuse anymore about this shape – it’s one of my all-time favorites in the Peterson catalog, especially stellar for Va and Va/Per lovers. If you don’t companion one, I’m sorry and hope you’ll add one to your rotation soon. As the B28, it appeared in both the entry-grade Kapet line and the St. Patrick’s Day 2012. Length: 5.43 in. / 137.92 mm. Bowl Height: 2.24 in. / 56.90 mm. Chamber Depth: 1.76 in. / 44.70 in. Outer Diameter: 1.56 in. / 39.62 mm. Weight: 2.40 oz. 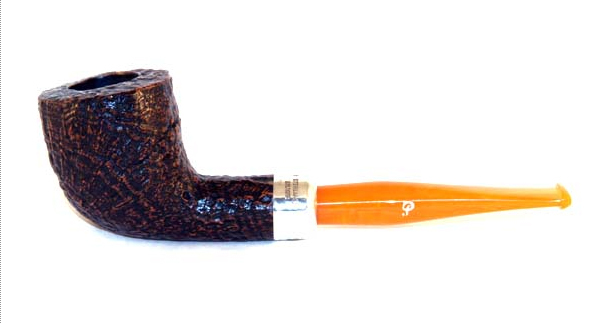 / 68.04 g.
The B29 derives from the Liffey shape in Peterson’s most extensive boxed collection, the sextet of pipes in the Rivers Collection, released in 2007. There is an amazing unity of design conception when you look at the collection as a whole, while individually they show some of Peterson’s most creative recent work. The set begins on a quiet note, however, with what at first seems like a rather ordinary billiard, but which the billiard aficionado will recognize as more Danish than Irish or English with its pronounced cheeks. The Kapet line, of course, is machine rusticated, two-tone stain with nickel band and hot foil P stamped on a vulcanite mouthpiece. 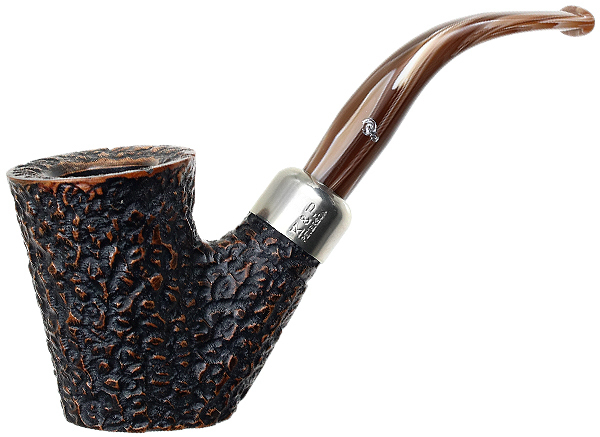 The Suir, a sterling army mount from the River Collection, was issued as the B30 and is on my Holy Grail list of newer Peterson shapes. It’s about as dynamic a bent Dublin as you’re likely to see, artisan or factory-made. It was gorgeous in the Rivers Collection, and it holds up well in its life as the B30 in the 2010 St. Patrick’s Day commemorative. I haven’t spotted it in other collections, but I wouldn’t be surprised made more than one appearance. In its 2010 SPD dress, it’s got the same meat-and-potatoes nickel band and matt brown stain as the US Aran line and sported way above average briar for the price. The Boyne became the B31, a straight, round-shanked Rhodesian, with more of an apple shape than the traditional bulldog / Rhodesian cant. It’s also a bigger-bowled pipe than the photo makes it appear. In the St. Patrick’s Day 2010 guise, it’s dressed out with nickel band, warm brown stain and a vulcanite mouthpiece with hot foil stamped P. It also appeared on the European market in the Donegal Rocky line seen below. The B32 / Lee is, in my opinion, the standout shape of the Rivers Collection, with the Corrib close behind. It transforms the Rhodesian into a dynamic, organic aesthetic perfectly reflecting its Irish origins. It appeared first in the St. Patrick’s Day 2010 seen below, a remarkable collection, with Aran-style finishings: warm matt-brown stain, nickel band, saddle stem. It also appeared in the Kapet line seen above, and finally as an army mount in the Rock of Cashel, as seen at the top of this blog. The domed ferrule of the army mount in the original Lee and the Rock of Cashel makes them the finest expression of this incredible shape. 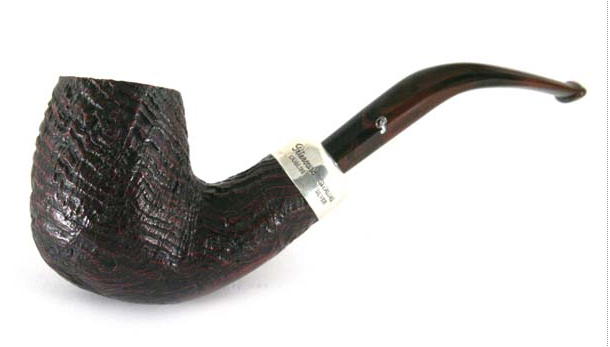 The B33 is derived from the Corrib in the Rivers Collection, and appeared as Peterson’s first Christmas pipe (with a Christmas tree on the mount) in 2009. 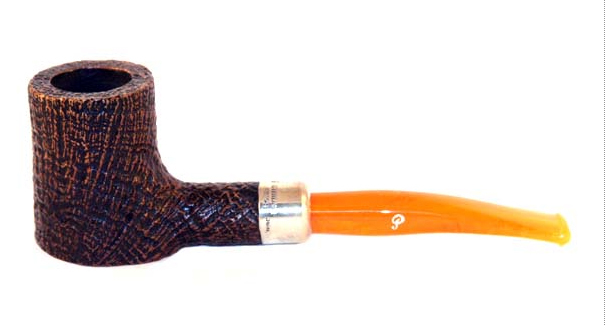 It’s Peterson’s only bent-Dublin setter, and it’s a marvel with English and orientals (I speak from experience). It appeared in the Donegal Rocky line seen below with a tapered vulcanite stem, in the Kapet with a tapered stem, and just lately as an army mount in the Derry Rustic line. It’s also part of the European, non-mounted Aran line, as my friend Tom has just this minute shown me in his recent purchase! 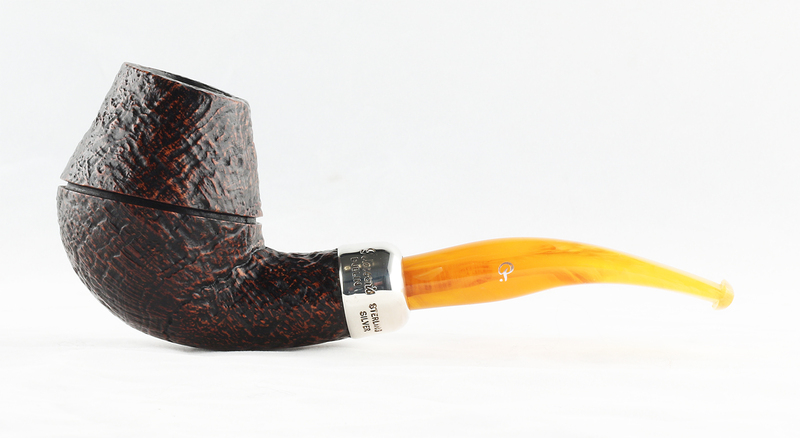 The B34 is the last of the sextet of the Rivers Collection shapes, and it’s a honey. I’ve never seen a bent egg that’s so compact and so cries out to be cradled in the palm. When you look at it you can’t help but think it would be a fantastic System pipe. Like some of the other Rivers Collection shapes, it appeared in the 2010 St. Patrick’s Day collection seen above, with Aran-style finishing, and in the Kapet line seen below. *Santa’s Helper: Right now at Floppypipe.it there are several rare and exciting Peterson pipes, all new/old stock, including a Charles Peterson 140th Anniversary, the 1903 Antique Reproduction Dublin (cased), several of the River Collection pipes, one of the new Spigot Naturals with a 1930s Peterson amber stem (no kidding), a handful of Rock of Cashels, several Kapreis models (including a B42 / Darwin), and several of the fine long-gone Army Linseed Blast pipes. Don’t be alarmed by the prices—when you get to check-out, the VAT is deducted, bringing in line with US prices—and some even cheaper, considering they’re no longer being made. They even take PayPal. Many thanks for another wonderful installment! I have very much enjoyed this series on the B shapes. Too bad it seems so many are on their way out. There are so many great shapes and too little time (and money). I hope someone makes good on your tip to that Italian fishing hole. 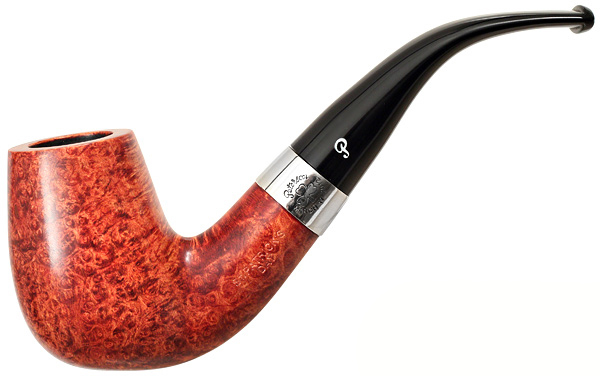 That 140th Anniversary pipe had me entranced for longer than I would like to admit. I must have repressed my memory of the one that really tempted me, though. That Kapries B42 was nearly my undoing. With regards to the B28 having three numbers. Although the shape of the 2004 and 2008 pipe of the year seem to be the same, their size definitely isnt. I can send you some pictures with a size comparison between the 2 limited edition pipes if you want? Hi Jim. Yes, it would be fantastic to be able to post a side-by-side photo of the two pipes. If you have a set of calipers, would you also send the measurements for each–that would help a great deal? I use the standard categories set down by Smokingpipes. Here are the pictures as promised. I hope it works because I am not that familiar with uploading pictures. The sandblast finish is the 2004 POTY, the smooth finish is the 2008 POTY. As you are able to see the 2008 is significantly bigger. The 2004 is the size I would about expect from an peterson XL sized pipe. The 2008 almost comes close to house pipe dimensions (not completely that big, but still a hefty pipe). I will borrow a set of calipers from a friend of mine and send you the measurements later. Just looking these over from your earlier email. I’ll put them in the blog revision when you the send the measurements, as I’m saying in the blog reply in a minute. This is really good information! Thanks so much. My 2008 LE is one of my very favorite Petes, always working superbly with my favorite Vas and VaPers. Thanks, Jim! Fantastic to find out about his. I will incorporate the photos as soon we can attach the measurements to them. I’m assuming you love your 2008 as much as I love mine. Mine is just an incredible vehicle for all my McClelland VAs and Va/Pers. I did some further searching regarding the numbering you gave for the B shapes in your earlier posts. The B numbering is chronological in terms of the release of the POTYs with interruptions with some series or special releases in between their numbering (like the great exploreres, antique collection,140th anniversary, river series, . 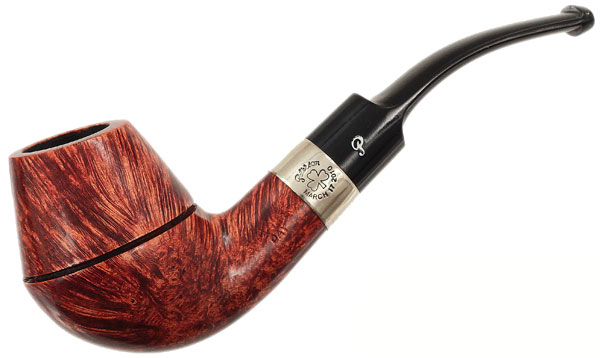 Which would mean that the B21 is the 2004 POTY, the B28 is the 2008 POTY, the B49 is the Gregson from the Sherlock Holmes series. Now all I need to do is take some accurate measurements and we need to compare them to accurate measurements of the B49 to see if it corresponds to either the B21, the B28, or if it is a slightly different shape on its own. Very exciting! More even then this, when I got back chronologically every POTY has its own BX number. Except for the first 3! And let there just be 4 empty spots in the B1 to B11 range. This means that probably 3 out of the 4 pipes filling those spots are the 3 earliest POTYs. We can exactly figure out which one belongs where by assuming that they appear chronologically like all their siblings and if we can find out what year the special edition was released that should fit the 4th empty spot withis the B1-B11 range. Hi Jim, I agree with what you’ve written in the top paragraph here, and like you, I’m excited to know what differences there may be in the 2004 LE, 2008 LE and Gregson. I was a little confused by what you wrote in the 2nd paragraph, so I’m going back to see what I wrote in the first B shapes blog… LOL. I finally got around to measuring both the POTY 2004 and the POTY 2008. Please consider the fact that I have been as precise as possible with my measurements but that some will not be exactly perfect (mainly the pipe overall length and height) given the limited means I had to do so. As we can see (and have already seen in the pictures) the 2008 POTY is a bit bigger. 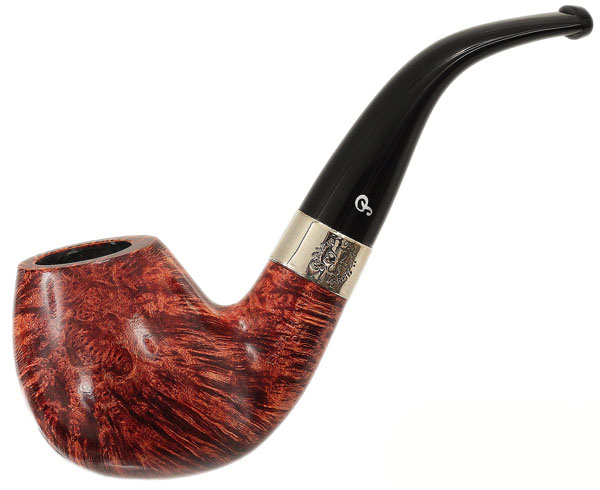 Furthermore, comparing these measurements to online measurements of the Gregson from the sherlock holmes series (smokingpipes.com) seems to confirm that the Gregson is the same shape as the larger of the 2 POTYs, the 2008. Which means it is truly a more hefty pipe then I would have expected personally!